If you want modern amenities in a heritage cottage setting and a '2nd to none' location only 100m to the harbour and the Victorian heritage District then look no further. 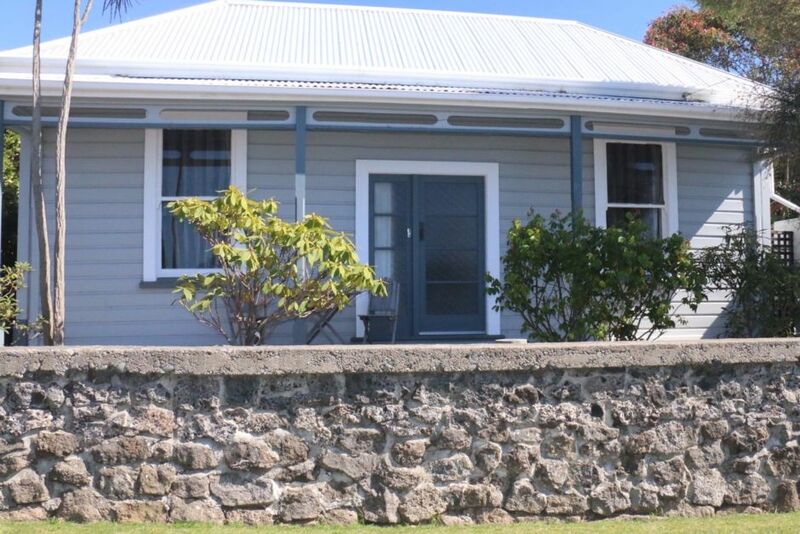 With all linen and towels provided with fully equipped kitchen, new bathroom 2015 and a sunny outdoor living area this 2 bedroom Victorian Cottage sleeps up to 4. Friendly Bay Cottage is in a fabulous location only a short stroll from all the best in Oamaru. The Victorian District, Penguin Colony, Friendly Bay and Harbour are all really close by. Cape Wanbrow with it's stunning views is great for walking and MTB trails and only a short walk away from Friendly Bay Cottage. For mountain bikers specifically, apart from the A2O trail, there are some fabulous local tracks to suit all abilities less than a 5 minute ride from Friendly Bay Cottage on Cape Wanbrow. There are also the Reservoir Forest and Herbert Forest trails within 10-20 minutes drive of the cottage. Minimum 2 night stays all year. Extremely confortable with lots of extras and close to all the attractions. Found the property in good condition and ready for our arrival. The property had lots of extras to make our visit comfortable, e.g. heat pump, electric blankets, hotties. One of the joys was that it was within walking distance to all the attractions. The outside area was very pleasant and meant that we could sit outside and have our lunch in the sunshine. Would recommend it. Awesome wee spot. Thanks guys! Brilliant location, everything is easy walking distance and the Sunday farmers market is just across the road. The house is cosy and very comfortable, and would stay again in a flash when visiting Oamaru. Love been able to wander down to the historic part of town for coffee or to the restaurants and not having to bother to take the car, of it helped that we had great weather. Friendly Bay Cottage is ,located a short walk to the Heritage area and harbour of Oamaru as is the Steampunk playground and children's bike riding park. The Sunday Farmers Market is located in the car park across the road. Cafes, restaurants and shops are also a short distance away.